Happy Friday! 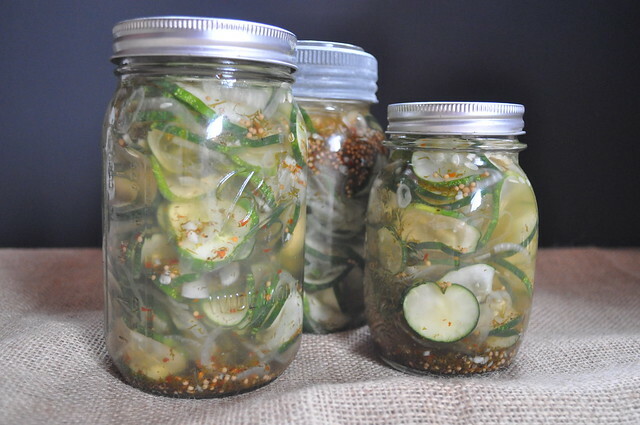 Today’s recipe is a fun one, homemade pickles! After going to Joan’s on Third and falling in love with their pickles we were determined to figure out a way to make them at home. 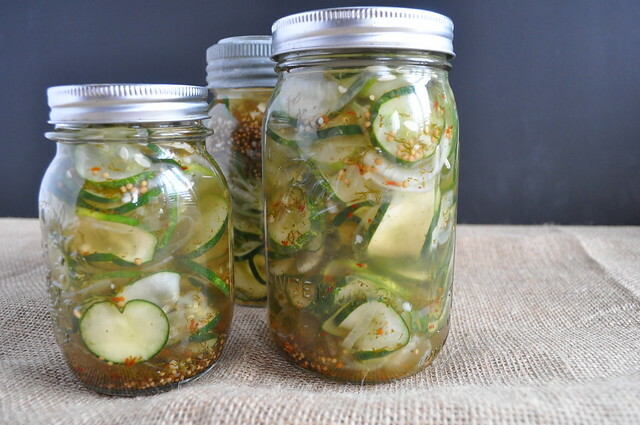 What’s great about homemade pickles, is that you can basically season them the way you like. Don’t like mustard seeds? Add juniper berries! Not a fan of garlic? Well, now, that’s just crazy! Who doesn’t like garlic? Only crazy people that’s who, unless you’re allergic, then that’s okay. Anyways, this recipe is pretty awesome (if we don’t say so ourselves) and we think they’re actually better than Joan’s on Third! Sorry, Joan. Either using a mandolin or a knife, slice the cucumbers to your thickness liking. Mix the kosher salt. Place the pickles in a colander and let the liquid drain out for about thirty minutes. In a large sauce pan, mix together: vinegar, water, sugar, salt, celery seeds, garlic, dill, and mustard seed. Bring to a boil, add more salt or sugar if needed. Transfer mixture to a heat proof container and let cool to room temperature. When cool, pour the liquid over the cucumbers. Cover the jars, and place in the fridge and let cool completely.